While robotic vacuums and robotic pool cleaners have been a common currency for many years, did you know you can easily get your garden cut with a robot now? This are the detailed robotic lawn mower reviews. Technology is still advancing at an almost unbelievable rate and we’re now at the stage when you can sit back and watch your beloved lawn trimmed back to size while you sprawl back on your new furniture set. We’ll jump straight in with our best robotic lawn mowers so you can get a quick taste of what’s on offer. After that, we’ll give you a brief rundown on what to look in the best robotic lawn mower so you can get a virtual assistant appropriate for your needs and the size of your garden. 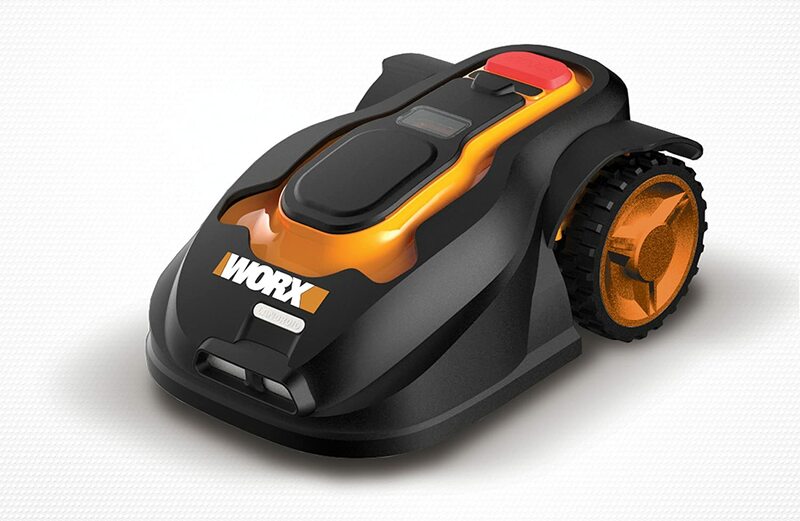 First up in our best robotic lawn mower reviews is the enduringly popular Landroid from WORX, garden industry legends who consistently combine quality with affordability with their striking black and orange gear. While this mower is underpinned by aggressive technology, the user experience is simple and intuitive. You’ll easily get up and running with programming even if you’re not the biggest fan of gadgetry. A rain sensor even sends the robot scurrying back to its base where it will remain until it’ safe to cut again. The shock sensors and pioneering cutting algorithm give your lawn a crisp and close cut without damaging it. You’ll get 3 blades attached to a single rotating disc. You can tweak the cutting height from 20 through 60mm. Powered by a lithium-ion battery, you’ll get a whisper-quiet operation so you can set your mower to kick in at 7am on a Saturday without menacing the neighbors. As if all this wasn’t enough, download the free app for Android or iOS and enjoy remote control of your robotic lawnmower even if you’re not at home. 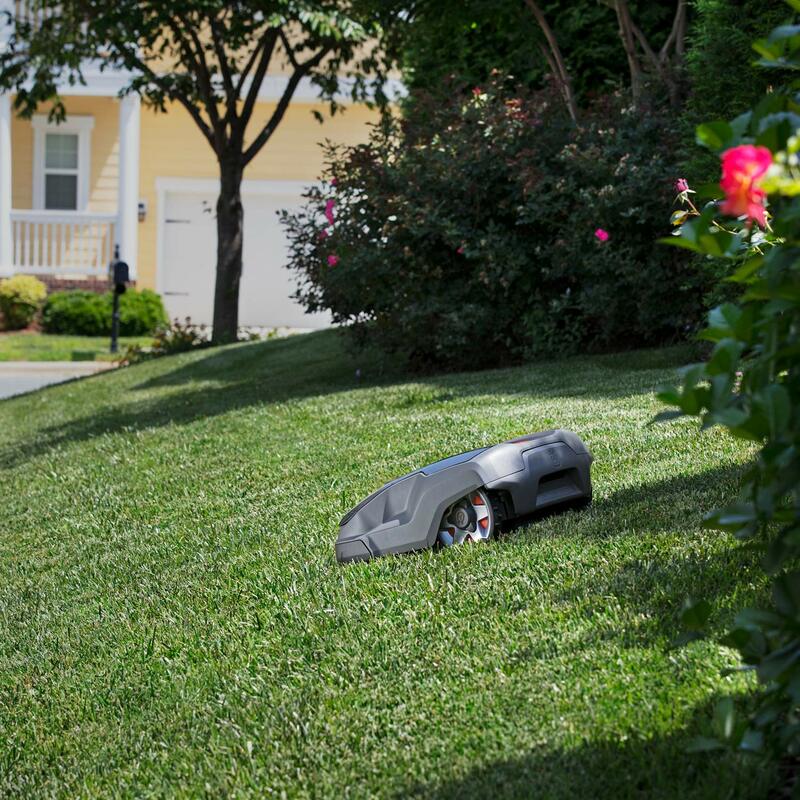 For a cost-effective entry point to robotic lawn mowers from a brand you can rely on, the Landroid is the obvious solution. 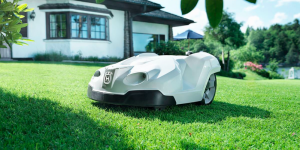 Looking like a low-slung, futuristic car more than a lawn mower, the Automower from industry legend Husqvarna is not the cheapest option at your disposal but what price can you put on the time you’ll save? Unlike many robotic vacuums, the 315X is capable of dealing with reasonably steep inclines and the nimble unit also acquits itself well in tight, narrow areas. This robotic mower makes a smart choice if you’ve got a hilly or multi-zoned garden that you’re tired of mowing manually. Navigation is GPS-assisted and pretty seamless. If you want to stay in control using your smart phone, grab yourself the Automower Connect app and you’re all set. 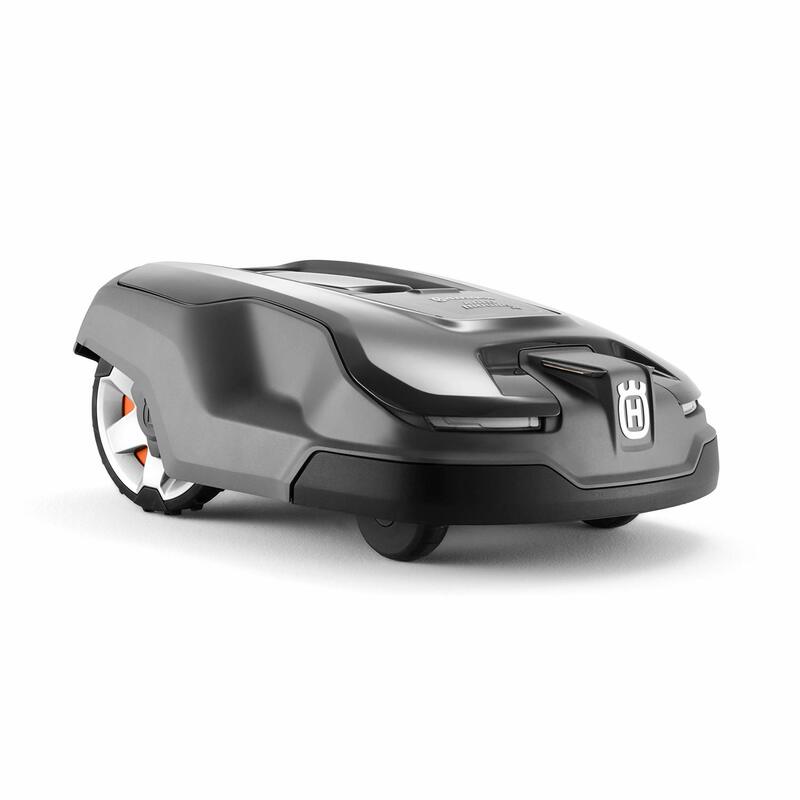 For a robust and flexible robotic lawnmower from a highly reputable brand, you simply can’t go wrong with the Husqvarna Automower 315X so road test one as soon as you get the opportunity. 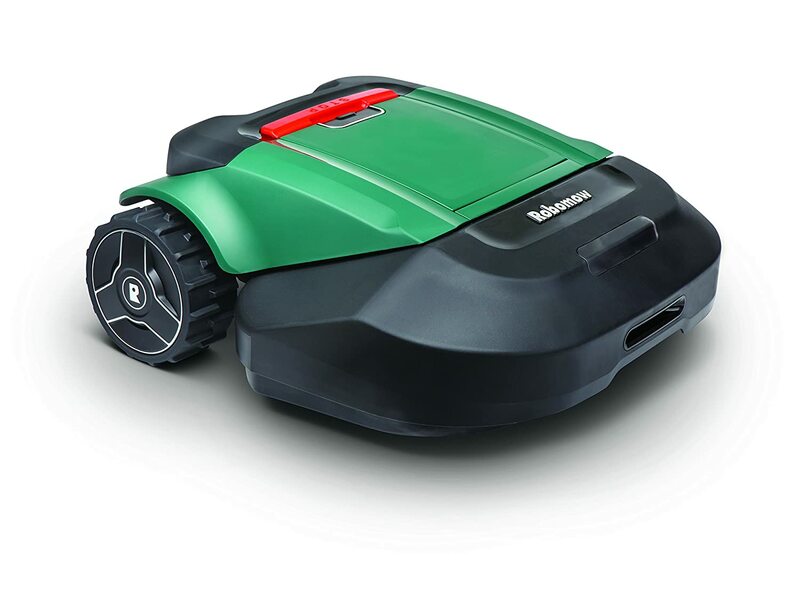 Next up in our best robotic lawn mower reviews, we’ve got a hard-hitting unit from Robomow available in 3 sizes. This gives you the firepower to deal with a variety of gardens from ¼ acre right through to much larger areas of ¾ acre. Once you’ve got the right model for your needs, you can sit back and watch the quality of your lawn improve while you no longer need to lift a finger. By cutting little and often, you’ll end up with a deeper, healthier lawn while getting more time to spend enjoying it than breaking your back. As with all the best robotic lawn mowers, you can download the free app and take charge from your cell phone. Once the main lawn is cut, the proprietary edging mode makes sure everything looks ship-shape before the robot makes it way back to the base station. 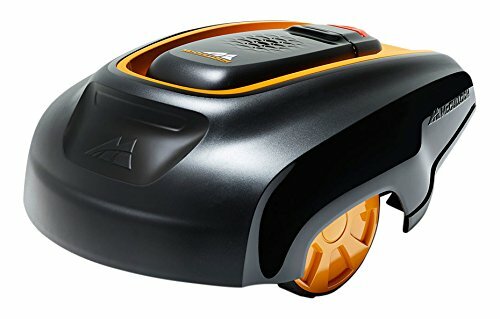 For a potent yet quiet way to automate yard duty, take the plunge and invest in this top-tier robotic vacuum so you can spend summer afternoons relaxing not wielding a mower covered in sweat. 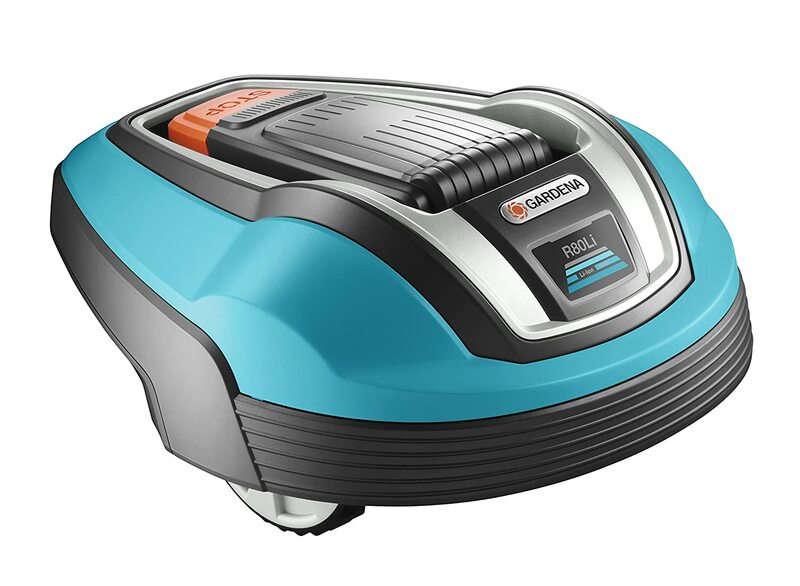 As we near the end of our robotic lawn mower reviews, we’ve got a bargain from Gardena. While no automated mower is exactly cheap, this represents superb value for money when you factor in how much precious time you’ll be saving on what, let’s face it, is a pretty damn tedious job. Although this mower doesn’t cope well on hilly terrain, it will cut large areas with ease while you can enjoy a nice glass of wine on the patio. As with all the very best robotic lawn mowers, the slow and gently approach leaves your lawn in peak condition and the way clippings stay as mulch on the lawn adds further nutrients and consolidates your investment by returning a truly magnificent lawn. Anti-theft protection is a nice touch if you’re worried about someone being tempted to grab your virtual mower and make their own life easier! Bringing up the rear in our best robotic lawn mower reviews is a sleek beast from McCulloch good for cutting lawns up to ¼ acre. Although it doesn’t work well in larger gardens, this mower can manage to make its way up moderate slopes without too much trouble. By trimming the tips of the grass blades, your lawn won’t just look better, it will be nourished while it’s getting a haircut. With none of the noise or emissions of traditional petrol-fuelled mowers, you can relax with a chilled drink while ROB takes up all the slack. If you’ve been hunting for a quiet, reliable and capable robotic lawn mower at a reasonable price point, you might have just found what you’ve been looking for. 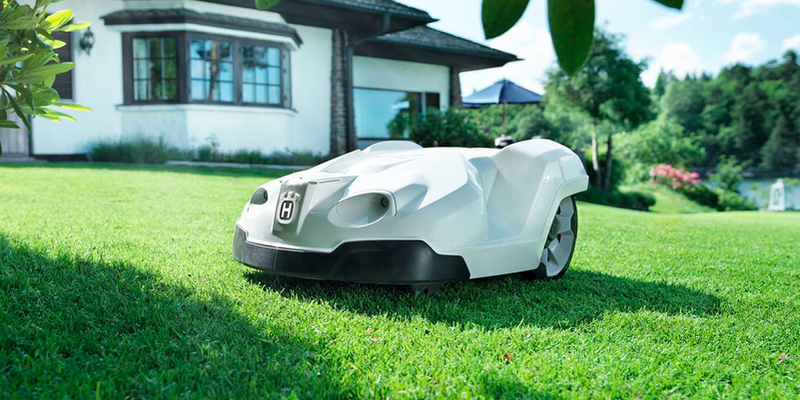 With our best robotic lawn mowers wrapped, why should you even bother spending your hard-earned money on something so expensive? Space-Saving: Mowers are not the most compact garden equipment and they eat up plenty of valuable storage space. Why not sidestep that completely with a streamlined and squat robot you can pop in even a small cupboard fuss-free? Now you have plenty of reasons to buy, what should you look for when you’re tracking down the best robotic lawn mower 2018? While these pieces of kit are fairly basic in principle, there are a few pointers that will simplify your buying decision. Before even considering the robotic lawn mower itself, take the time to think about the dimensions of the area you’ll be cutting. Sizes are normally based on flat, unchallenging conditions. You might want to ramp up the capacity if you have more demanding terrain to deal with. You can find robotic lawn mower capable of churning through even substantial gardens so take the time to get the right fit. It’s not just the size of your lawn that counts but how complex your garden is. Do you have lots of tight, narrow areas? Is the garden laid out over multiple zones? 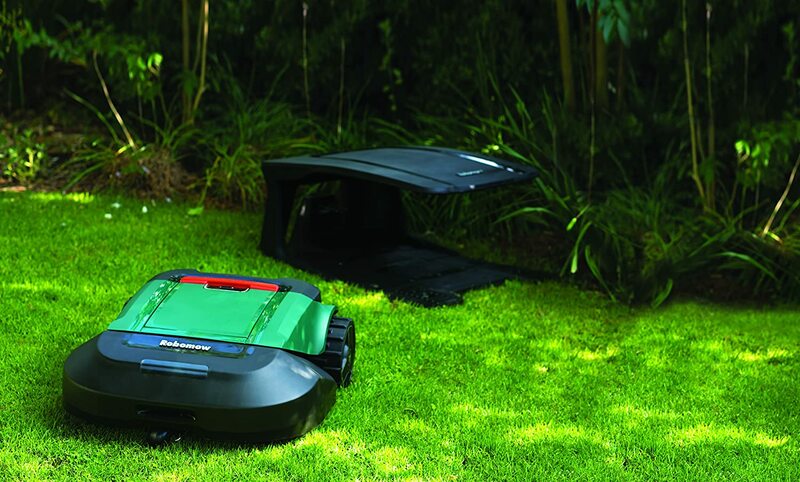 Whatever shape and size your outside area, there’s a robotic lawn mower to suit. Make sure you read plenty of honest user reviews and make sure you get a model in line with your requirements. The other salient factor when it comes to robotic lawn mowers is whether or not you have a flat and simple lawn or your garden is set out on a slope. Not all robotic mowers are cut out for hilly terrain so make sure the one you have in mind gels with the layout of your garden to avoid a nasty, expensive mistake. It’s worth paying attention to what happens in the event of something going wrong. How long is the warranty good for? Does customer service come well-received or are there lots of complaints? Do you have any servicing centers anywhere near your home? While none of these issues are necessarily deal-breakers, they’re certainly worth a few minutes of your time. If all else is equal, go for the robot with the lengthiest guarantee. While price should be a factor in your decision, it should not be the determining factor. Think about overall value and the time you’ll save before obsessing purely on the bottom line. By now, you should have a clear idea whether automating the tedious element of mowing is something that appeals. If you’re looking to save yourself time – and who isn’t? – while ensuring your lawn is cared for in the way it deserves, investing in the best robotic lawn mower might be the best thing you did this winter. And when summer rolls around, you can spend more time enjoying your garden and less breaking out the lawn mower with a heavy heart. Come back soon for more ingenious ways to make your life easier in every way. Detailed rundown on what to look in the best robotic lawn mower (reviews) so you can get a VA appropriate for your needs and the size of your garden in 2019.